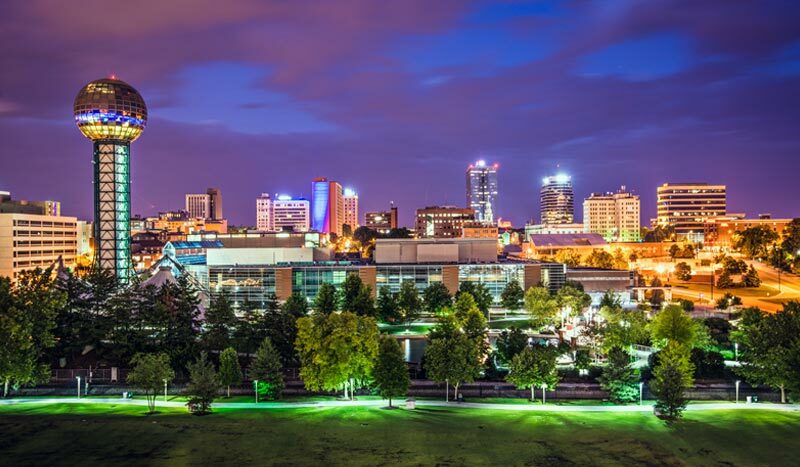 Most Knoxville attractions are just minutes away from your elegantly comfortable hotel room or suite at Crowne Plaza Knoxville Downtown University. 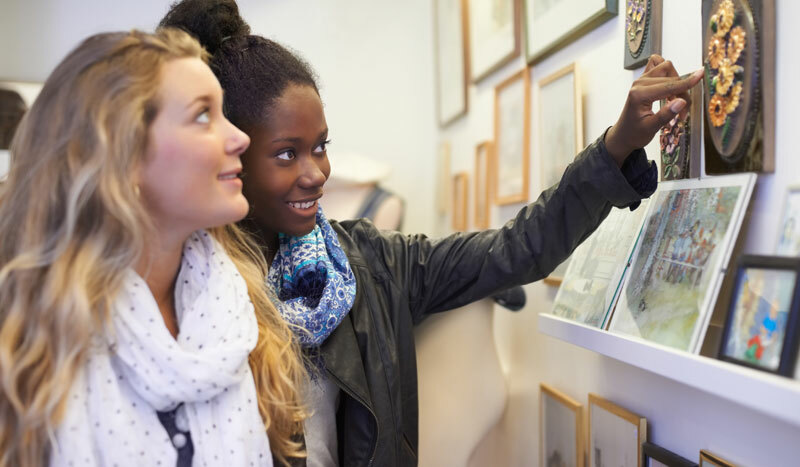 From the World's Fair Park to the University of Tennessee Vols home games, you'll find lots of great things to do and see including a unique array of family attractions. Knoxville, Tennessee is an area hub, which is why you'll find a showcase of local East Tennessee talent at the Knoxville Museum of Art and fresh produce at the twice-weekly Farmers' Market on Market Square. Explore everything there is to see and do nearby before you book your stay. With over 27,000 undergrad and graduate students, the University of Tennessee is a huge part of Knoxville's community and culture. Take a campus tour, attend a Vols athletic event and explore what makes UT one of the best institutions of higher learning in the U.S. 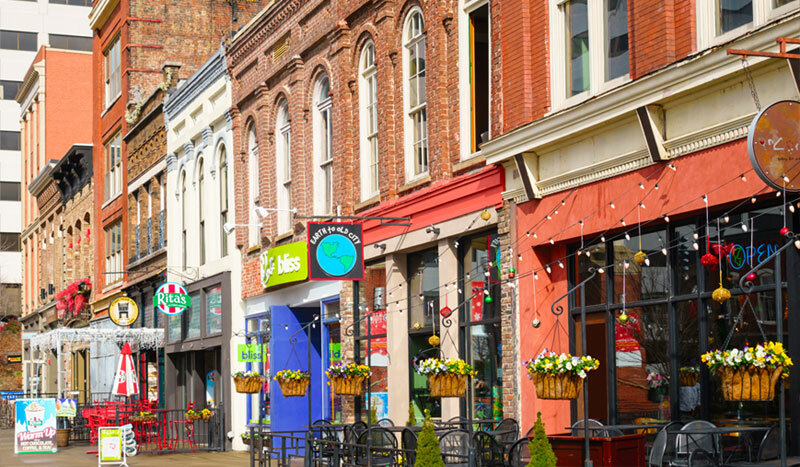 Discover the best shopping in Knoxville, Tennessee at Market Square where you can find crafts made by local artisans and discover unique Tennessee souvenirs and gifts. 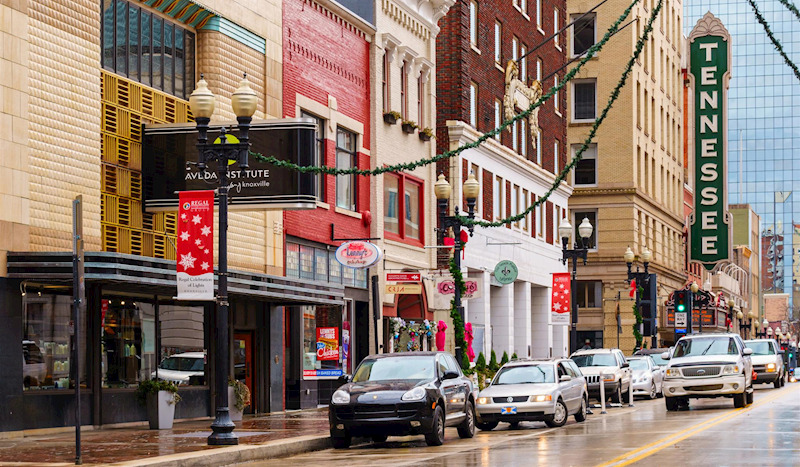 Browse some of the city's best shops, boutiques, and retailers moments away from Crowne Plaza Knoxville. 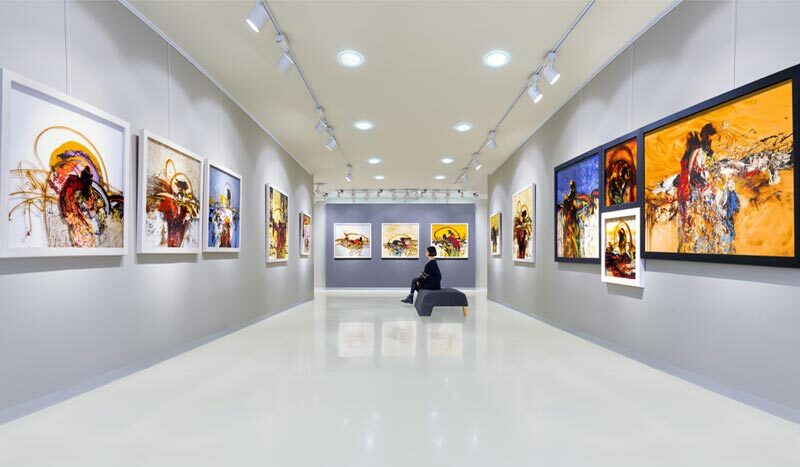 Showcasing the work and talents of East Tennessee artists, the Knoxville Museum of Art is always free and open to the public. See the largest figurative glass art installation exhibit in the world. Children will enjoy hands-on activities like drawing easels and the light board in the Creative Corner. Snap photos of the Sunsphere, that iconic golden orb rising above World's Fair Park. This time-honored public park which was the site of the 1982 World's Fair is now a green space, home to scenic walkways and paths, fountains, and lawns -- perfect for picnics and concerts. The Knoxville Zoo is home to more than 900 animals and critters, some of them on the endangered or threatened species list. 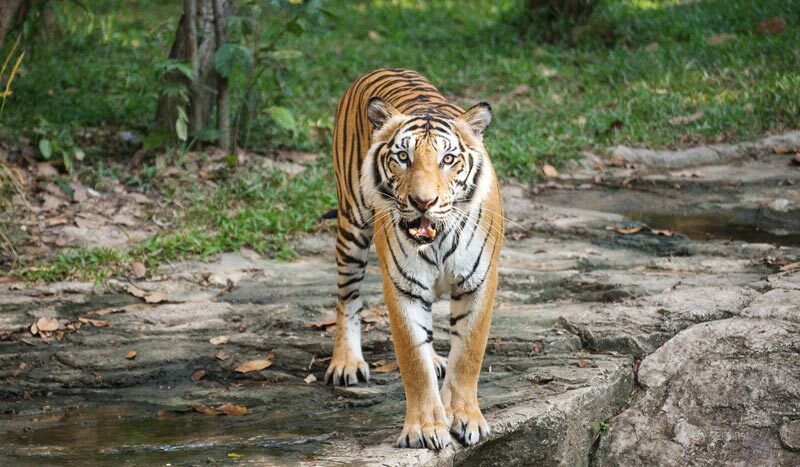 Explore this beautiful, family-friendly destination, which is also home to attractions like the Zoo Choo Choo and Carousel, plus dining and shopping. Learn about Tennessee's rich history through lectures, genealogy workshops, and a museum that features thousands of historic artifacts from the state's past, including quilts and textiles, decorative furniture and paintings, and items from the Civil War. 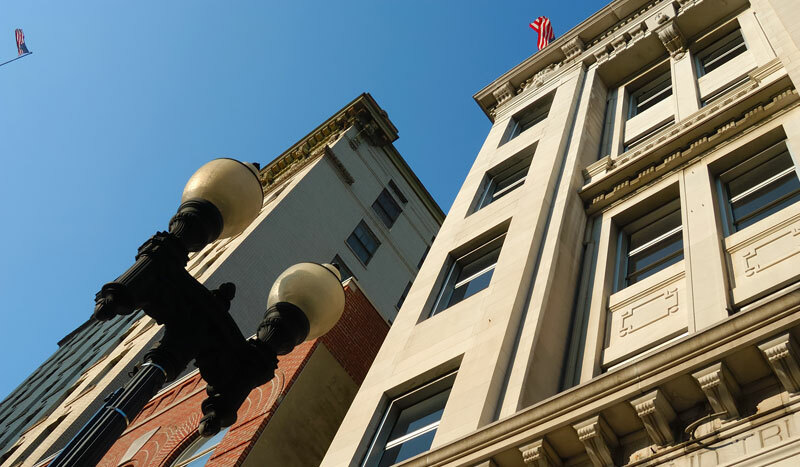 Located along a few blocks near the railroad on the northeastern corner of downtown, the Old City has a storied history and is a well-preserved remnant of a time when Knoxville was booming. Today it's home to special events, popular dining spots, and charming shops. 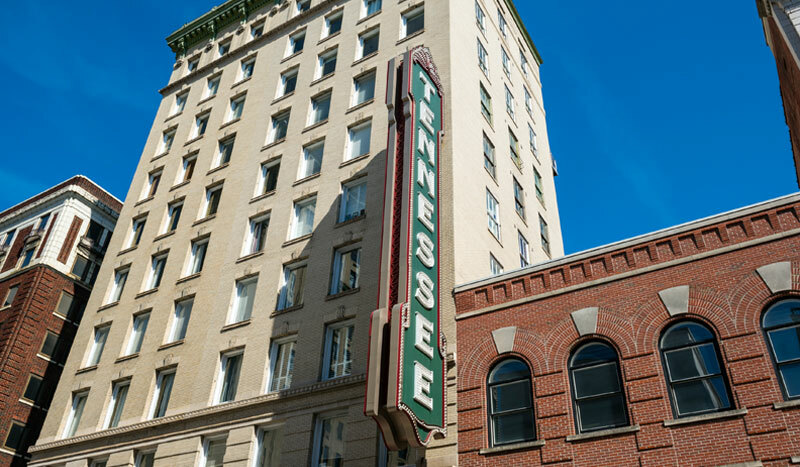 This time-honored 1920s-era movie palace, located at 604 South Gay Street in the heart of the city, is a captivating venue, where guests today can see world-class musical acts, operas, film screenings, and get a taste of Knoxville Tennessee's rich past. Explore this vibrant, historic thoroughfare that runs through downtown, where you can find shops, rooftop bars, museums, galleries, historic theatres and architecture, and some of the city's best restaurants and cafes.